Ranger-Ultra Thick Clear Embossing Powder. 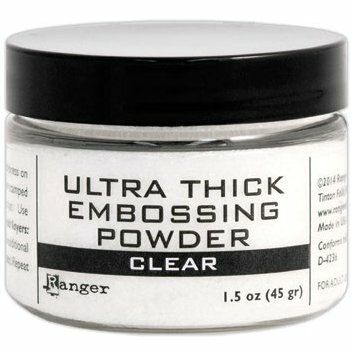 Some embossing powder techniques require a lot of powder and Ranger has it for you! This package contains one 1.5oz jar of ultra thick clear embossing powder. Conforms to ASTM D 4236. Made in USA.